A new study claims eating blueberries is the best way to beat the baby blues. As well as being hailed a superfood for its benefits on physical health and appearance, the latest research has found a link between the fruit and warding off the sadness and mood swings that mothers can feel shortly after giving birth. Around three quarters of women are expected to suffer baby blues and it normally disappears after a couple of days, though those with severe cases are more likely to be diagnosed with postnatal depression, which affects one in eight new mums. 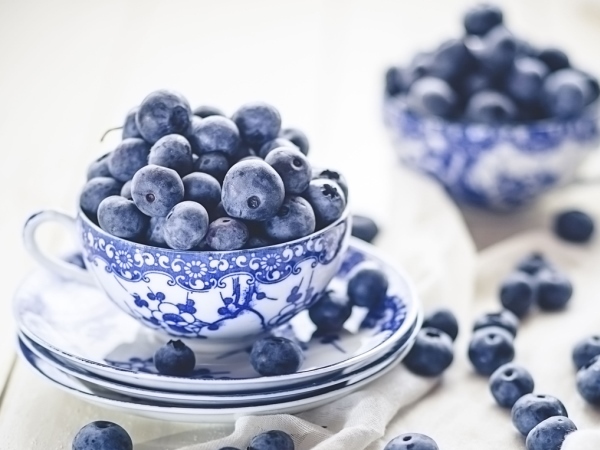 A surge of protein after birth can cut the level of feel good hormones in the brain, but blueberries’ amino acids, tryptophan and tyrosine, are known to compensate for this increase and stop women’s moods from being affected. Researchers from the Centre for Addiction and Mental Health (CAMH) in Toronto studied 41 pregnant women in their late 20s and early 30s, around half of whom were set to become parents for the first time. Three days after they welcomed their baby half of the ladies were given two blueberry drinks, one consisting of 2g of tryptophan while the other had 10g of tyrosine. The other women didn’t receive any supplements. Five days after birth the women who received the drinks didn’t experience a drop in mood, while those who didn’t have anything were found to have an increase in their depression test scores. “We believe this is the first study to show such a strong, beneficial effect of an intervention in reducing the baby blues at a time when post-partum sadness peaks,” lead author Dr Jeffrey Meyer said of the findings, which have been published in the journal Proceedings of the National Academy of Sciences. “Postpartum blues are common and usually resolve 10 days after giving birth, but when they are intense, the risk of postpartum depression increases four-fold.